Call Gordon’s Tree and Crane Service for all of your Tree Trimming Services throughout the North and South Shores. Trimming your trees on a regular schedule helps to keep them healthy and beautiful. There are many different ways to trim your trees based on your specific needs. Do you want more grass to grow in a shaded yard? If the answer is yes, we can thin out your trees to allow more sunlight in. If you have limbs that are near your roof, it is definitely a good idea to trim those back before they cause damage to your home. Tree limbs that are too close create a pathway for insects and squirrels to get in your home. Gordon’s Tree and Crane Service can come out and just trim out the dead, hazardous limbs as well as raise the canopy to create a healthier tree. We have a fleet of top of the line bucket trucks, which are dielectric certified. This is necessary to safely work around power lines around your home or business. 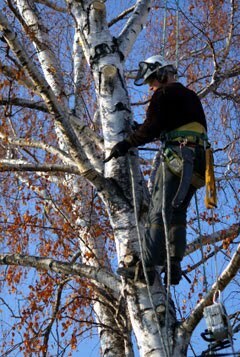 Trimming trees brings beauty back to life and is also the most rewarding for us as professionals.